6 Reasons to Own a Portable Space Heater! 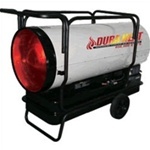 Portable heaters can save you a phenomenal amount of money on your electric and gas bills. Space heaters are manufactured to higher safety standards compared to the past. 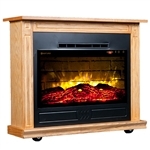 Space heaters allow you to heat small areas verse having to heat an entire home or building. Studies have shown that you can reduce your heating bill by 3-5% for every degree you lower your thermostat. Most businesses or homeowners can place portable heaters throughout their dwelling in areas used most often and bring their thermostat down a few degrees to save money on energy cost. Here are some key reasons to consider purchasing space heaters! Reduce the total size of the area that needs to be heated. Placing heaters in areas that are used more often allows you to lower your thermostat several degrees and not waste money on heating unoccupied areas. Portable heaters can allow you to lower your thermostat from the mid 70's to the mid 60's to save over 30% on your annual heating cost. New technology has allowed for sharper looking portable heaters and better designs not impacting decor of a room. Technology has become much more efficient in lowering the decibel (sound) of the units. Space heaters allow for those sensitive to the cold to have the warmth they want, while those not as sensitive to the cold in the same room being impacted. Space heaters can typically be set to cover smaller or larger areas of a room with a thermostat control. Space heaters are not expensive and can typically be paid for by your energy savings within the first few months.